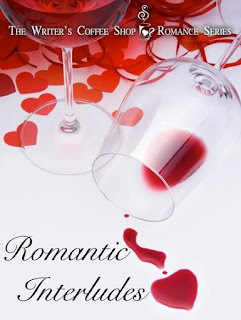 Lissa Bryan: "Romantic Interludes" ... Seven Stories to Warm Your Heart For Valentine's Day! "Romantic Interludes" ... Seven Stories to Warm Your Heart For Valentine's Day! Romantic Interludes has been released and it's already in the top 100 on Amazon. I'm so excited to be a part of this anthology with some really amazing authors. We're running a giveaway of a copy of the anthology, plus a copy of a book of your choice from the anthology's authors! 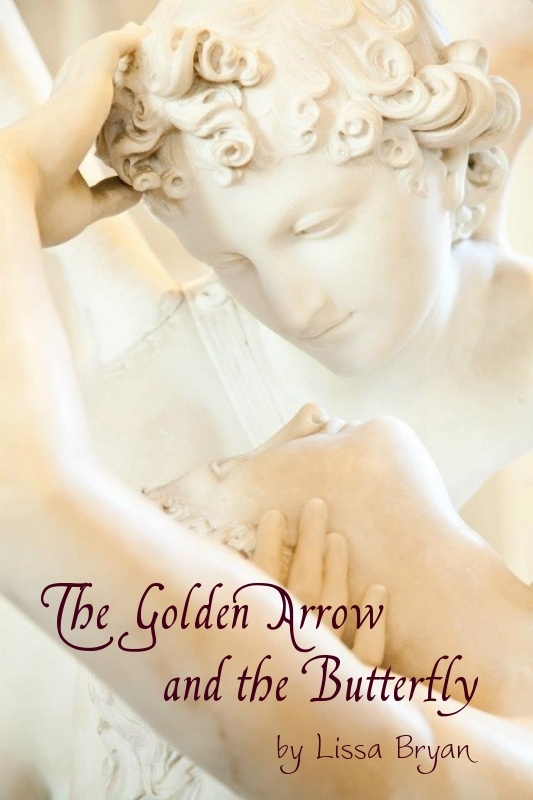 My story, The Golden Arrow and the Butterfly, is first in the anthology. It's a modern retelling of the tale of Eros (Cupid) and Psyche. 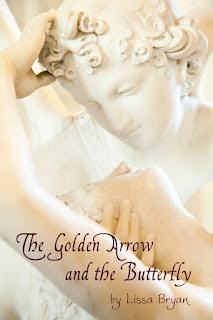 The cover image for my story is a photo of "Psyche Revived by Cupid's Kiss" by Antonio Canova. I saw this sculpture when I was at the Louvre, though oddly, I didn't remember it when I was thinking of what image to use. Next up is Suzy Duffy's The Gentleman Gardener, a charming tale of a growing attraction that begins in a flower shop. The flowers might be fresh but Becky’s love-life isn’t blooming. Spring has sprung and it’s looking like another year on the shelf in The Little Flower Shop for Becky. Enter the tall dark stranger who comes calling every Monday but how can she fall for a guy who likes mediocre Mop-heads over zany Zinnias. He might be cute, but he sure ain’t no gentleman gardener. Harder to open than a Dalia in December – Becky and her buddy, Jilly have to resort to every trick in the book to figure out the mystery behind the guy they call The Monday Man. Then comes a delicious little treat by T. M. Franklin, A Piece of Cake. Emily Valentine is a matchmaker who doesn’t believe in love. Well, at least not the hearts and flowers, see-your-soulmate-across-a-crowded-room-and-the-world-stands-still kind of love. No, Emily is a pragmatist – a scientist – and she’s abandoned her family’s tradition of matchmaking based on instinct and uncanny intuition for a more scientific approach to pairing people up. Emily believes love is more about compatibility and common interests than anything mystical. Allie Jean is next with her Dissecting Hearts. After a less than stellar ending to her seemingly perfect relationship, Christine decided to spend Valentine’s Day at the one place where her mind would stay good and occupied, keeping all thoughts of Mitch away. The Emergency Room had a way making the day pass by quickly, yet when her former fling elects to change his schedule with another nurse, Christine finds herself in a situation she can’t avoid. Can she finally set aside her fears and take a leap of faith? Or will her assumptions of Mitch prove her to be unlucky in love? Sandi Layne come next with her story, Justin's Second Chance. Ten years ago, April Peterson asked her long-time crush, pen pal Lance Corporal Justin Clark, for a date. In shock after his first military deployment to Afghanistan, he ignored her, eventually deleting his email account so that she couldn’t get in touch with him. When they meet again, April Peterson Sinclair is a widow with a young daughter and Gunnery Sergeant Justin Clark, USMC, tries to show her how he has always felt. Justin asks for a day spent alone together—just what April had asked of him long ago—and during that day, he gets his second chance. Sydney Logan's Stupid Cupid follows. Jada Morgan hates Valentine’s Day—which is ironic, considering she works as a writer for a greeting card company. She meets Nathan Reynolds, one of the new graphic artists, and they bond over their mutual hatred for all things Cupid while working on designs for this year’s marketing campaign. As they grow closer, Jada learns that Nathan is a single father, and she quickly becomes attached to him and his little girl. When it’s time for the company’s holiday party, Jada assumes they will attend together, not realizing Nathan already has a date for the event. Has Stupid Cupid broken her heart once again? A heartfelt story about love, family, and second chances. Last, but certainly not least, is Jennifer Schmidt's Two Pink Lines. The Sweetheart Scavenger Hunt continues until February 14. Click below to visit each participating author's website to find a candy heart clue.